One of Ottawa's busiest bar and restaurant strips will close to traffic next year while the street undergoes a major makeover. Alain Gonthier, the city's director of infrastructure services, told councillors in a memo that Elgin Street is in for two years of delays and closures, beginning next month. The first closures will start in March with Bell Canada doing upgrades to its facilities in the area, followed by the replacement of power poles by Hydro Ottawa. Both of those projects are set to occur during off-peak hours, and one lane will be maintained in each direction. "This work must be undertaken in advance of planned renewal of Elgin and is expected to be complete by fall 2018," Gonthier said. After that work is complete, Elgin will be closed entirely to traffic from Gloucester to Isabella streets beginning sometime in early 2019. Carina Salgado, night manager at the Lieutenant's Pump, said with the street closed it could be difficult for customers to get to the bar. She said she understands the work has to be done, and said the city has worked with business owners on the design. The city is offering up free parking in the garage underneath City Hall on evenings and weekends to offset the loss of street parking, but it's expected Elgin will remain closed throughout most of 2019. 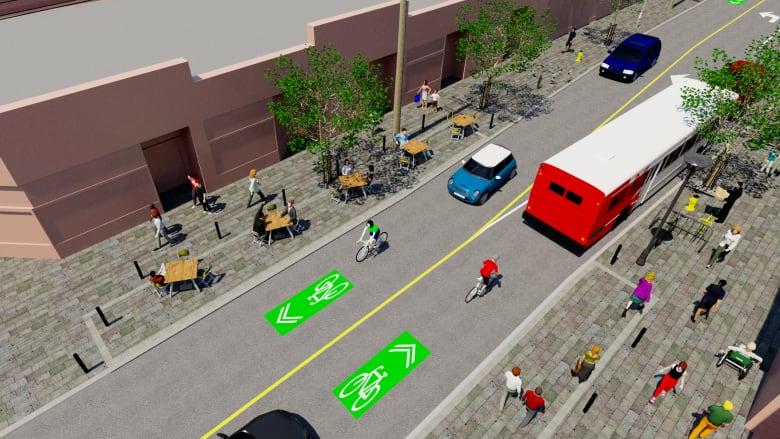 In addition to overhauling utilities and other major work, there are plans for more streetscaping, public art and new lighting.